Southern Star / ABC. 2004. CD (ST) ABC. 7243 4 73130 2 8. 2004. 01: Beautiful Feeling - Paul Kelly and The Boon Companions. 02: Love Letter - Professor Ratbaggy. 03: Taught by Experts - Paul Kelly and The Boon Companion. 04: Gutless Wonder - Paul Kelly. 05: Everybody Wants to Touch Me - Deborah Conway. 06: I Smell Trouble - The Boon Companions. 07: Boon Companion - The Boon Companions. 10: Emotional - Paul Kelly. 11: Gathering Storm - Paul Kelly with Uncle Bill. 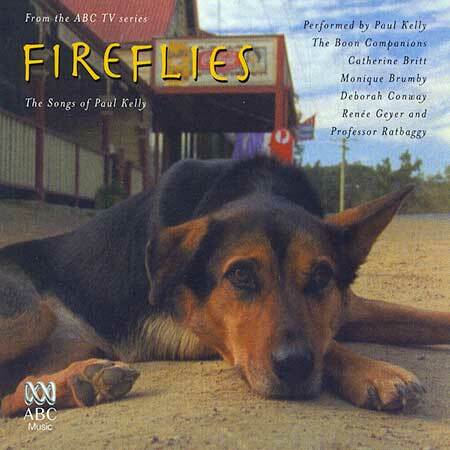 12: Last Train to Heaven - Paul Kelly and the Coloured Girls. 13: Los Cucumbros - The Boon Companions with Sian Prior If I Could Start Today Again - Catherine Britt. 14: Beautiful Promise - Paul Kelly and The Boon Companions.